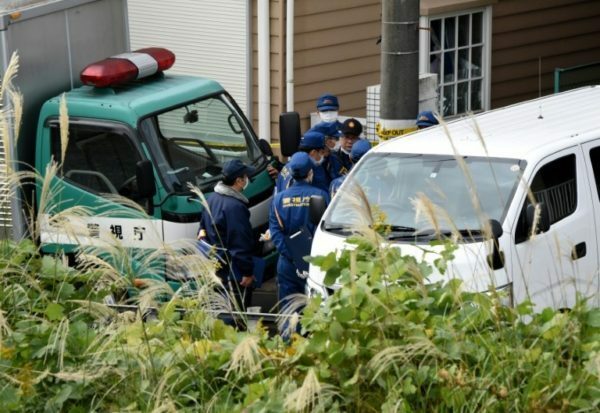 Japanese police have found nine bodies with their flesh stri*ped off and heads severed in containers in a suburban Tokyo flat, media reported Tuesday, according to AFP. A 27-year-old identified as Takahiro Shiraishi, who lives in the apartment in the quiet residential neighborhood of Zama has been arrested. Police originally found two heads inside a cool box at the entrance to the apartment before making the grisly discovery of the other body parts, according to Jiji Press. “During the course of the investigation, the heads of nine bodies have been discovered” inside various coolers and containers in the apartment, private TV network TBS said. “He has said ‘I dismembered a body and placed it inside a cooler and poured cat litter over it. It was meant to hide the body that I killed and to hide evidence’,” the spokesman told AFP, declining to elaborate. It was gathered that the bodies were of eight women and one man, according to media report. Jiji Press said Shiraishi had told police he chopped up the bodies in a bathroom and a saw was found in his room. The police spokesman could not immediately confirm these reports. “I thought it was the smell of sewage,” he said. TBS said the body parts had been stri*ped of flesh.